The Park at Wrigley won't be hosting any watch parties for Games 1 and 2 of the NLCS, the venue announced Friday. The Cubs, citing inclement weather in the forecast over the weekend, said no viewing parties would be held Saturday or Sunday. After a quiet Friday, scattered showers are expected to develop in the area during the evening hours in far north and northwest counties. But overnight, areas north of Interstate 88 are likely to see scattered showers and storms with heavy rain possible where they occur. The scattered storms are expected to continue on and off Saturday morning with areas north of Interstate 80 likely to see some of the heavier rainfall. The wet weather will grow more widespread heading into the late-afternoon and evening as some storms could become strong to severe, bringing wind gusts in excess of 60 mph and torrential downpours. Rainfall totals are estimated to reach between 1 to 3 inches. 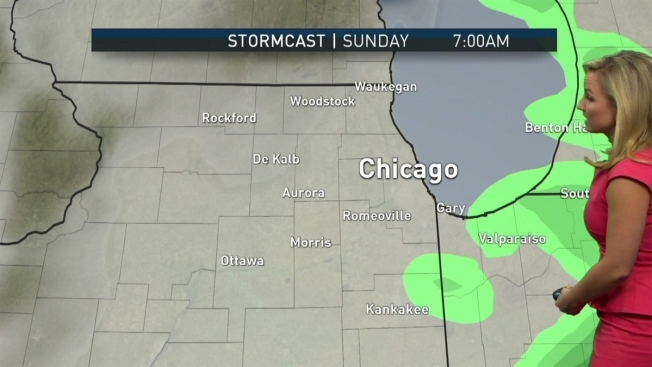 Any lingering showers will end early Sunday morning before clouds break for partial sun by the afternoon. Sunday will be a much cooler today as highs dip into the upper-50s, dropping even cooler in the afternoon. The Cubs are scheduled to take on the Dodgers in Game 1 of the NLCS Saturday night.